"Can be made on the stove or in the slow cooker. It's quick, easy and so good." 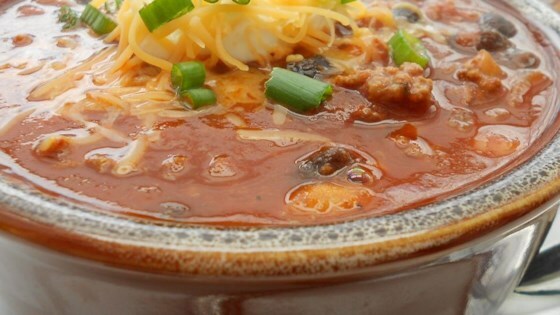 See how to make a prize-winning beef and bean chili.